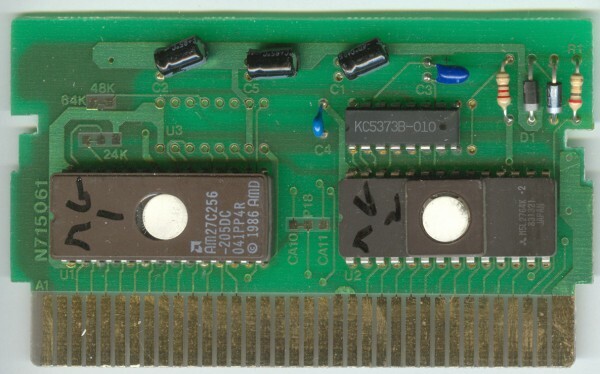 Mappers are the extra circuits apart from the ROM or RAM memory, that let the NES "see" more than 32KB of PRG-ROM (datos y programa) and 8KB of CHR-ROM (graphics in ROM). 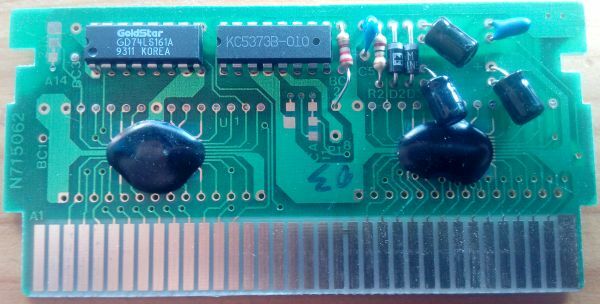 This mapper doesn't do any extra actions, simply wires the 16/32 KB of PRG-ROM and the 8KB of CHR-ROM to the NES. 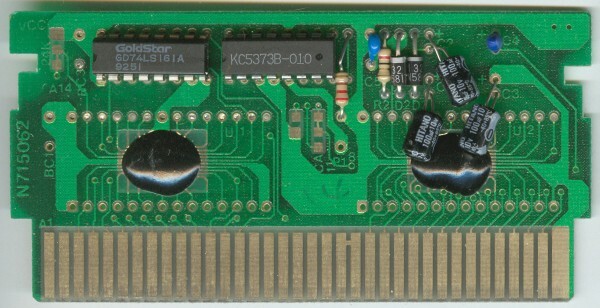 The most common mapper among the Gluk games, used by most of the NTDEC / Mega Soft / Caltron games. 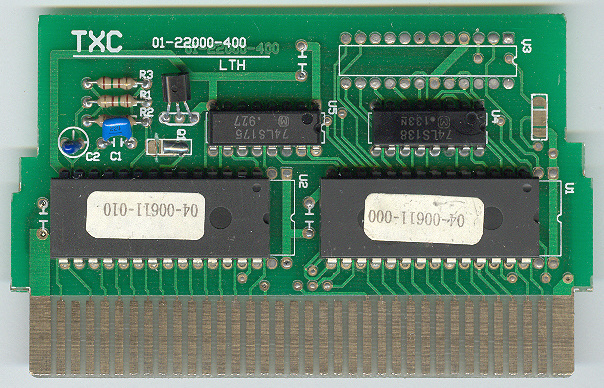 Allows to store up to 32KB of CHR-ROM graphics, selecting which 8KB are seen at every moment. 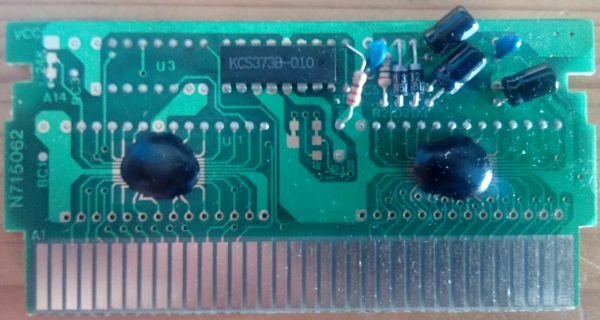 Has no option to use more than the default 32KB of PRG-ROM of the NES. 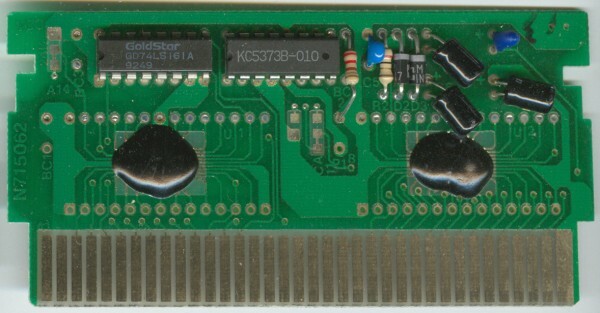 Mapper used in"Policeman" and "Comando de Lobos". 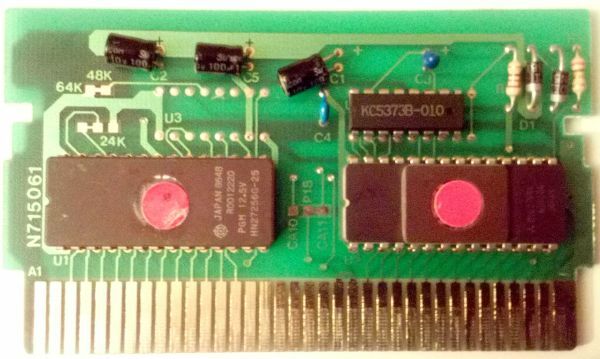 It's a clone of the GNROM, except that the register is only accessible on certain addresses. 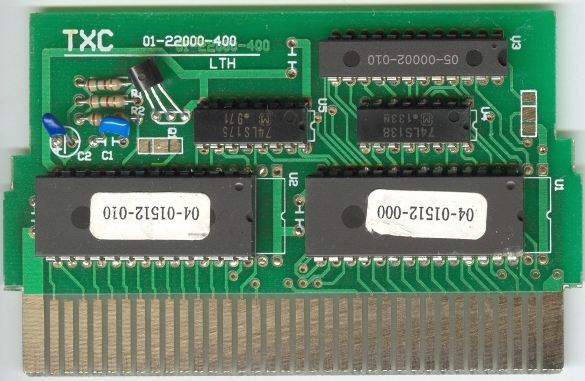 Allows up to 128KB of CHR-ROM graphics, selecting which 8KB are seen at every moment. 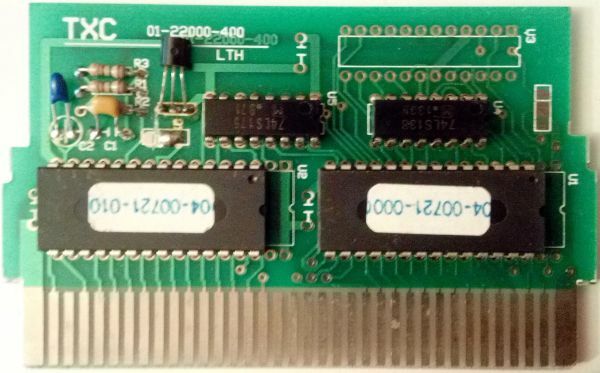 For the PRG-ROM it allows to choose 32KB banks up to a theoretical maximum of 512KB. 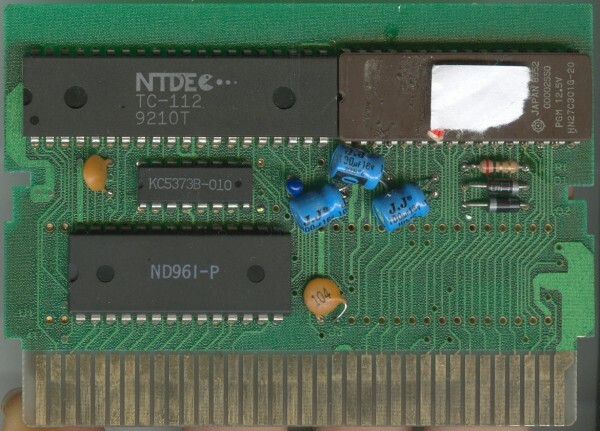 The mapper used by the games of Idea-Tek, build by American Video Entertainment. 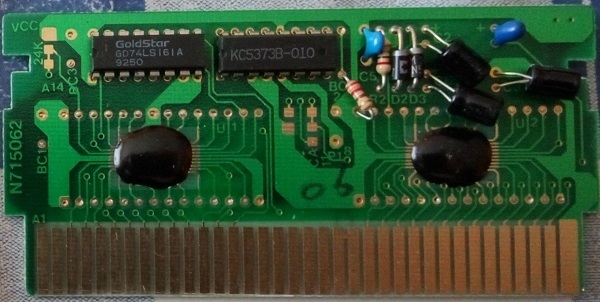 Allows up to 64KB of CHR-ROM graphics, selecting which 8KB are seen at every moment. 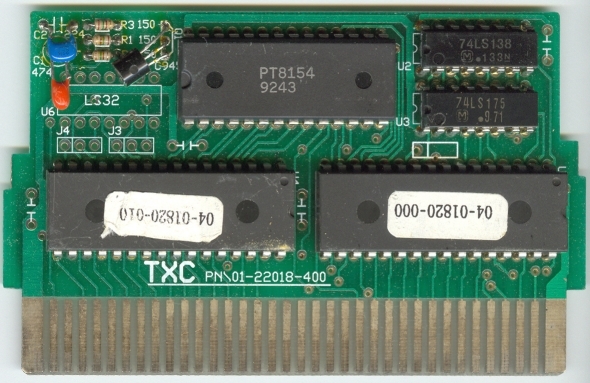 Also allows to switch between two 32KB banks of PRG-ROM, allowing 64KB of PRG-ROM. 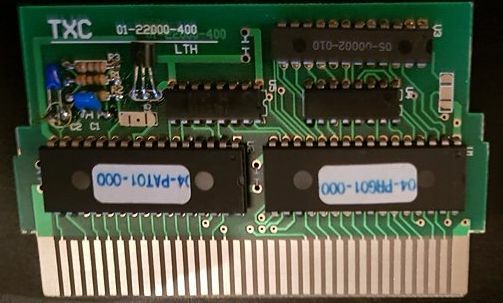 Seems a clone of the NINA 003-006. 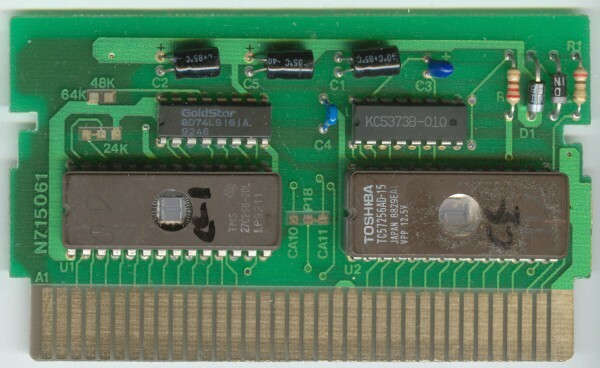 Allows up to 32KB of CHR-ROM graphics, selecting which 8KB are seen at every moment. 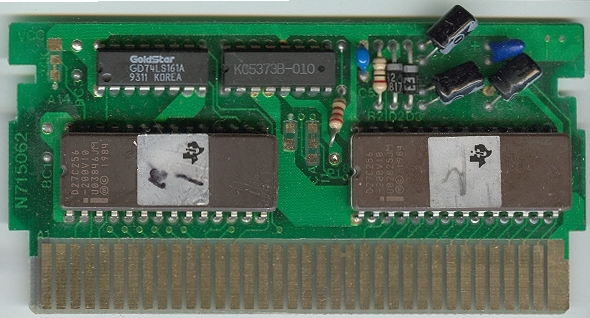 Mapper used in"Gluk the Thunder Warrior". 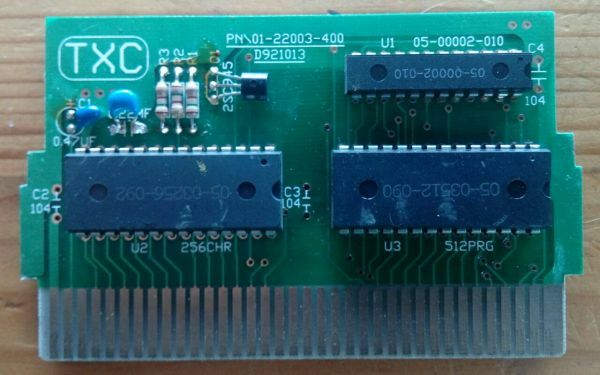 Half clone of the MMC3 by Nintendo, except on the PRG-ROM. 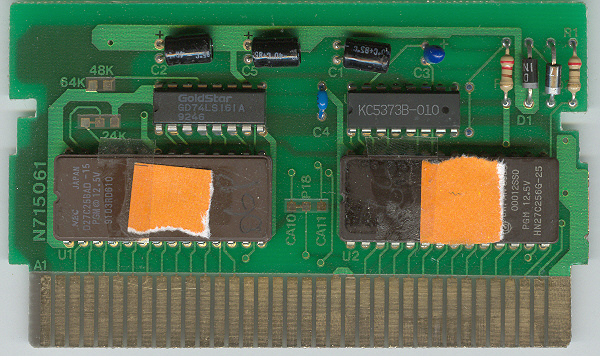 The CHR-ROM is divided on 2 parts of 4KB, one has 2 subparts of 2KB and the other one 4 of 1KB, each one can load graphics independently. It can also control the mirroring to put it in horizontal or vertical. 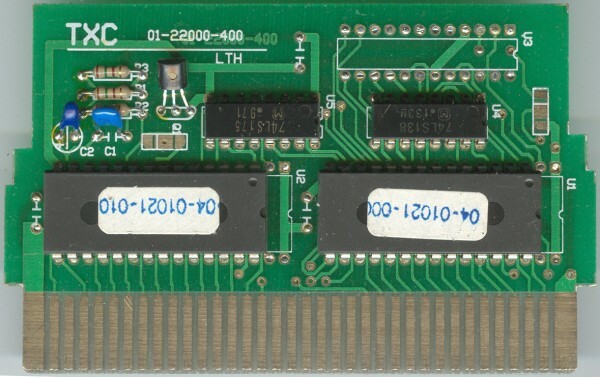 The mapper used in"La Guerra Del Golfo". 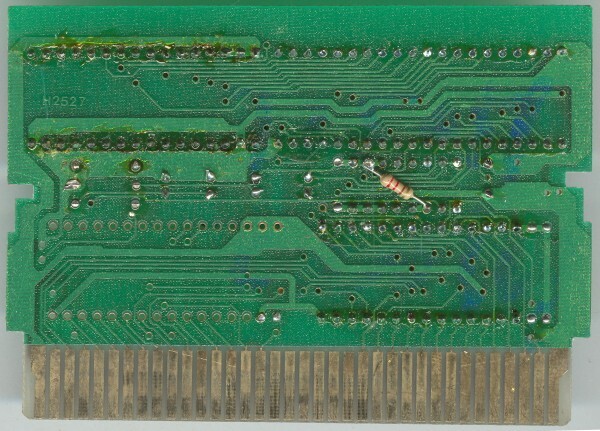 A more advanced mapper, allowing up to 128KB of PRG-ROM and 128KB of CHR-ROM. 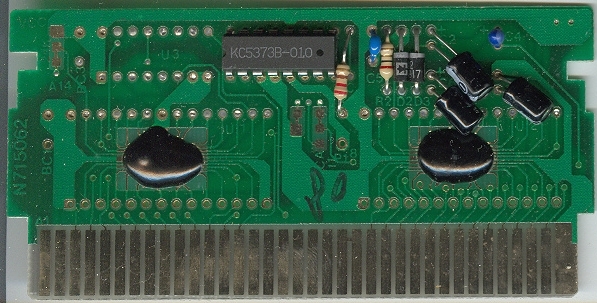 The PRG-ROM is divided in 8KB chunks and it can select which to see on the address $8000. On the addresses $A000, $C000 and $E000, loads the last 8KB banks of PRG-ROM and can't be changed. 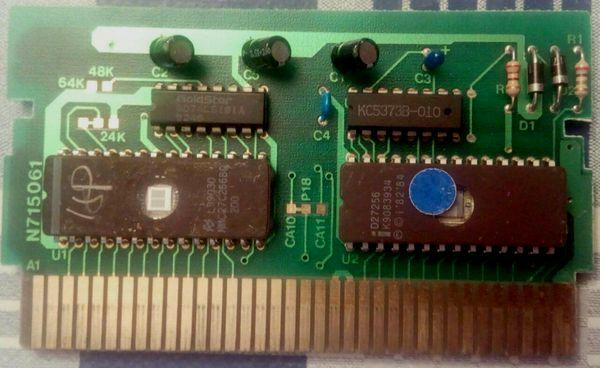 On the CHR-ROM, the 8KB are divided on 4KB, 2KB and 2KB allowing to change every part, choosing between it's 128KB, this allows to load different enemies without having to load the entire page or changing only the backgrounds (the 4KB are used for the backgrounds).